Thanks to Nico for the link! 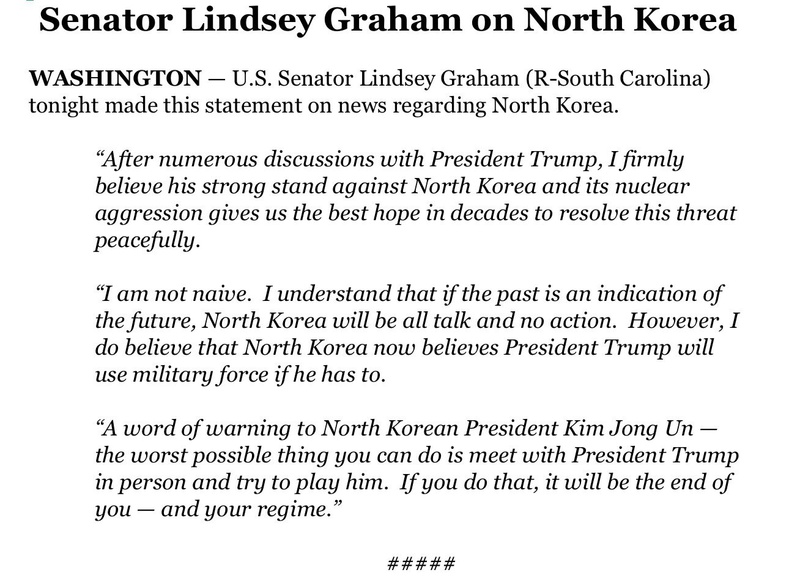 So Graham (and we can assume McCain) support Trump on N. Korea. In essence Neo-Cons are supporting him. Now I'm worried. If that's the case and we know that Neo-Cons and globalists are joined at the hip and we know that they never stop at the point of handling the original problem, ie...Iraq has weapons of mass destruction so we go in, destroy the "stockpile" and then stay and play to transform the country. How would history have played out if we had deposed Saddam, destroyed the stockpile and left? The worry for me is that if war comes we're probably looking at nation building...or worse. 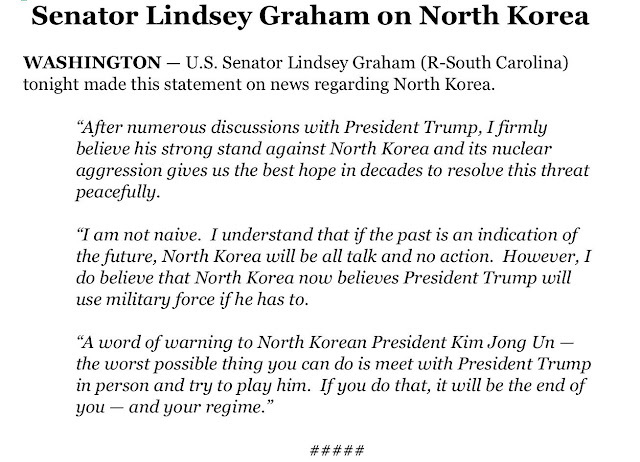 I can see a strike to destroy his nukes, production facilities and even taking a shot at killing little fat boy. But that's it. I don't want another occupation.